Star Citizen 2.4: Persistence Starts Here! Roll up, roll up! Come on in and get your dose of persistence! 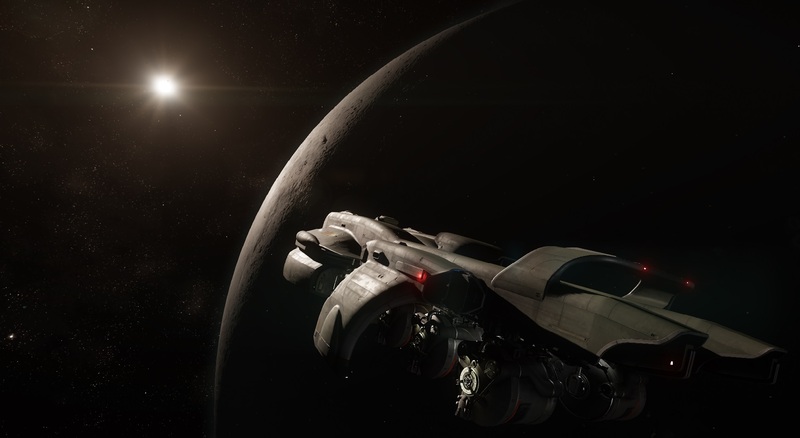 The highly anticipated Star Citizen version 2.4 has been made available to all backers! That’s right folks, today we bring you news of the first ever persistent version of the Star Citizen Persistent Universe! Those of you who have been following the game closely will no doubt already be aware and like me have been massively anticipating (and possibly even testing on the test universe servers CIG run) this latest huge milestone in Star Citizen’s development. Well, as we leaked last month, 2.4 is here and it brings with it a huge amount of new functionality and content. I’m happy to say that the leak itself was largely accurate and our decision to publish it worthwhile. Due to the huge update, we’ll forego our usually monthly report on Star Citizen to focus on the game systems which have arrived with 2.4 with one single exception that I’ll come to at the end. This is the big one folks. Although at this stage the currency is only an alpha version and it is being used for balancing and testing cost of items vs. rewards for missions etc and will be periodically reset as it is balanced, the gameplay mechanics have now changed substantially. You can now earn credits for what are being billed as “pirate” and “defender” missions, as well as other general exploration/combat missions etc. These credits will remain on your account (until the next reset) and purchase items with these credits. This includes FPS weapons, ammunition, clothes and armour. In addition, having your ship repaired will now cost credits, as will restocking its munitions (ballistic guns and missiles) and refueling. Further, should your ship be blown up, a timer is implemented before it can be requested again after respawning at Port Olisar. This is an introductory and temporary version of the insurance mechanic which will take effect down the line in the game and smaller ships will be available again quicker than larger ships. In addition, the player can pay a credit fee to “expedite” the insurance company giving you a replacement ship. Needless to say, this changes the dynamic of the Star Citizen universe significantly. Adding a cost to most actions and making players think about how they want to play the game. For full details, check out the Star Citizen 2.4 Comm-link here. The CIG team have been working away on ship models too. Added with the 2.4 patch are 2 new ships for players to see and play with. The MISC Reliant is now hangar ready for backers to view in their hangars and enter/exit look around. The Reliant is a trading starter ship. Additionally, CIG have completed initial flight modelling on the MASSIVE MISC Starfarer and Starfarer Gemini (military model). The Starfarer is a fuel refining and refuelling ship. It is the first of the really large multi-crew ships that CIG have implemented being 100 metres long and with a null cargo mass of 350,000 Kg. Needless to say, in a properly physically modelled game, this thing is huge and has some massive inertia when flying in zero G. Some people are already using them as FPS arenas since the interiors are huge. Both ArcCorp and Port Olisar now have shops where players can spend their hard earned aUEC. 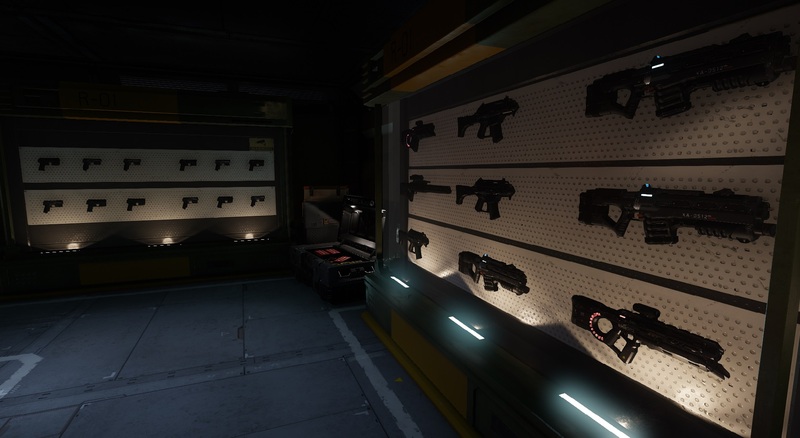 Cubby Blast in ArcCorp now sells FPS weapons as well as armour and flight suits which players can purchase and equip. 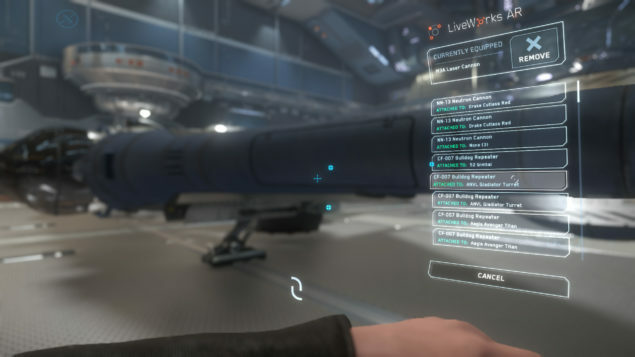 Live Fire Weapons offers FPS weapons in Port Olisar. Garrity Defence has flight suits and armour available for players to try on and buy in Port Olisar. Of course, any items you purchase will persist between sessions as part of the new persistence built in to 2.4. Guns, who doesn’t love some good guns?! The much maligned holo-table experience has been removed from Star Citizen (temporarily). It is likely to make a return much later in a reworked manner. In the meantime, ship loadouts are accessed and modified by the Port Modification app on your mobiGlas in game. Swapping out guns, shield generators, power plants, missile pylons etc will now persist between game sessions and you effectively have two different loadout setups per ship. 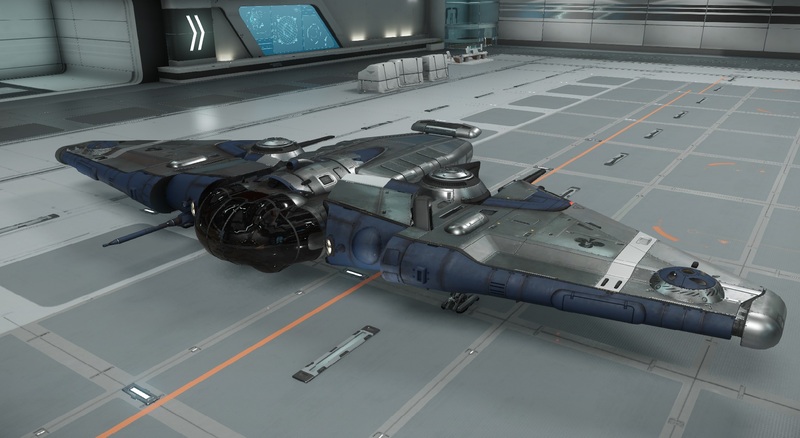 If you modify your ship while in the Hangar, this loadout will be used for Arena Commander flying, while if you modify it in Port Olisar, this will persist for the baby universe. The big change here is the bounty and reputation system. Players who complete enough “goody” missions (such as repairing comm arrays or the Interstellar Cartographer missions) will be offered a contract from Crusader Industries to protect Security Post Kareah from “baddies” who are trying to infiltrate it and wipe their criminal records. Similarly, Outlaws in Crusader are getting more organised too and will be offered missions to kill the Defenders. Reputation will persist between sessions and hacking the terminal in Kareah will reduce/remove your wanted level if you’re an outlaw. Performing “bad” actions will instantly remove your Defender status and place you at Wanted level 1. All of these missions will reward the respective sides with aUEC for your ship repair and weapon/armour purchasing needs. As for the non 2.4 update. A little comm-link which I know many don’t read caught my eye last month. Periodically, CIG put out in game news pieces to familiarise players with the game universe. Congress Now is a series which periodically details what occurs in the UEE senate. You can view the full details here, but the short version is that it would appear the UEE is going through its very own version of Trumpism. Senator Yori Co has proposed Amendment 27 be attached to a supplemental appropriations bill. Amendment 27 is aimed specifically at excluding non-humans from voting in the UEE senate, regardless of whether they are in fact a legitimately elected senator or not. CIG have significantly changed the control layout for the game. If you’re used to the existing setup or have your own key bindings setup, it is likely you will need to re-familiarise yourself with the control scheme or rebind your preferred setup. Also, another note on the early access testing group which stirred some controversy when it was first announced by CIG. It has been a resounding success! CIG selected very active users to be an advanced testing group called the “Evocati” (avocados in Reddit parlance). This group had exclusive access to the PTU build initially. 492 backers logged in 25,602 times across the 8 builds and provided 1,401 bug reports. If you want to be considered for the Evocati program in the future, make sure you’re active in testing new builds and taking part on the Issue Council triage section of the website where bugs are reproduced and prioritised. That’s all for now folks! See you in the (persistent!) ‘verse!